Calling all glass lovers! Last days to catch the work of Jacqueline Knight, Matt Curtis, Brian Corr, Mikki Trail, Scott Chaseling and Mel George. In Canberra and in Miniature closes next week on July 15. 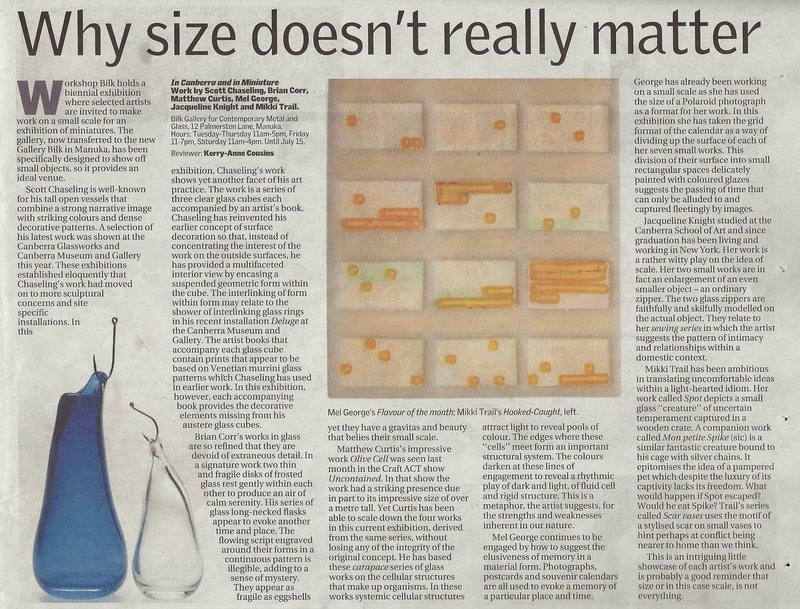 If you need some encouragement have a peruse of Kerry-Anne Cousins review of the exhibition in The Canberra Times (click to enlarge).